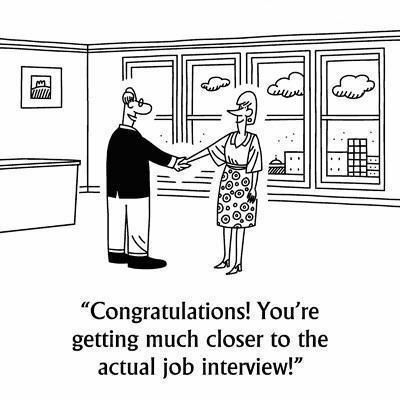 Job interviewing never seems to get any easier – even when you have gone on more interviews than you can count. You are always meeting new people, having to sell yourself and your skills, and often getting the third degree about what you know or don’t know. And, you have to stay upbeat and enthusiastic throughout each interview. Brush up your communication skills, so you can speak clearly and concisely about the assets you have to offer the employer. Take the time to work on your interview skills – effective interviewing will help you get hired. Practice your responses to the typical job interview questions and answers most employers ask. Think of concrete examples you can use to highlight your skills. The easiest way to do this is to make a list of the job requirements, and match them to your experience. Providing evidence of your successes is a great way to promote your candidacy. Also, have a list of your own questions to ask the employer ready. Do your homework about the employer and the industry, so you are ready for the interview question “What do you know about this company?” Try to relate what you have learned about the company when answering questions. Know the interviewer’s name, and use it during the job interview. If you’re not sure of the name, call and ask prior to the interview. Building rapport and making a personal connection with your interviewer can up your chances of getting hired. People tend to hire candidates they like, and who seem to be a good fit for the company culture. Don’t wait until the last minute to pick out an interview outfit, print extra copies of your resume, or find a notepad and pen. Have one good interview outfit ready, so you can interview on short notice without having to worry about what to wear. When you have an interview lined up, get everything ready the night before. Make sure your interview attire is neat, tidy and appropriate for the type of firm you are interviewing with. Bring a nice portfolio with extra copies of your resume. Include a pen and paper for note-taking. Be on time for the interview. On time means five to ten minutes early. If need be, take some time to drive to the interview location ahead of time so you know exactly where you are going and how long it will take to get there. Give yourself a few extra minutes to visit the rest room, check your outfit, and calm your nerves. During the job interview, try to relax and stay as calm as possible. Remember that your body language says as much about you as your answers to the questions. Proper preparation will allow you to exude confidence. Take a moment to regroup if you need it. Maintain eye contact with the interviewer. Listen to the entire question (active listening) before you answer, and pay attention – you will be embarrassed if you forget the question. Try to relate what you know about the company when answering questions. When discussing your career accomplishments, match them to what the company is looking for. Use examples from your research when answering questions, “I noticed that when you implemented a new software system last year, your customer satisfaction ratings improved dramatically. I am well versed in the latest technologies from my experience with developing software at ABC, and appreciate a company who strives to be a leader in its industry.” Take the time to make a match between your expertise and the company’s requirements, and to sell yourself to the interviewer. Always follow-up with a thank you note reiterating your interest in the position. You can also include any details you may have forgotten to mention during your interview. If you interview with multiple people send each one a personal note. Send your thank you note (email is fine) within 24 hours of your interview. So with some advance preparation, you’ll be able to nail the interview and showcase the experience that makes you the ideal candidate for the company’s next new employee. 7 Interview Tips That Will Help You Get the Job | by Alison Doyle via the Balance. Sometimes, it’s the simplest things that can sabotage your career, so it pays to sweat the details. When you’re invited to a job interview, for example, one wrong move can blow your chances. Even wearing the wrong thing can distract an employer from your polished resume and outstanding experience. Before you schedule your next interview, be sure to review this list of the six worst things to wear for a job interview. If you haven’t worn your interview outfit recently, you might find it doesn’t fit the way it used to. Don’t try to pull it off, though. You won’t look your best and you won’t feel comfortable — and it will show. Better to wear an outfit that is tailored to suit you, rather than anything that feels or looks too tight or too short. It may not only give the wrong impression, it may also be distracting. Tugging at your skirt hem, for example, is another distraction that takes away from the focus on you and your skills. Even if you’re interviewing at a laid-back workplace, it’s still possible to take the casual concept too far. Do not wear jeans, tennis shoes, shorts, t-shirts, hats, flip-flops, or any garments with messages or brands written on them. For men wearing a suit, do not wear loud, obnoxious colors, busy-printed shirts or overly patterned ties. Take the conservative approach, and save the fun stuff for after you’ve got the job. There’s a fine line between standing out and wearing something that’s just distracting. In the interview process, you should err on the side of caution and tone it down. Better to choose subtle patterns over brighter ones, and dark or neutral clothing versus neon colors or anything distracting. You should be the focus of the interview, not your clothing. Women should not wear anything too revealing or low cut. No platform heels, no sun dresses, nothing too trendy. Make up and jewelry should also be toned down. For men and women both, it’s generally a good idea to stick with the basics: a black, blue, or grey suit and the associated conservative accoutrement. You might like to make a statement with your jewelry, but the job interview isn’t the time to do so. Stay away from jewelry that jingle-jangles, which can be very distracting for an interviewer. Experts advise against wearing perfume and cologne as well. You may feel like something is missing when you refrain from wearing your favorite fragrance, but this is one more thing that can be distracting during the interview. In addition, many people have sensitivity or allergies to fragrances. Play it safe! It’s a good idea to ask about what’s expected of you when you’re setting up a job interview. 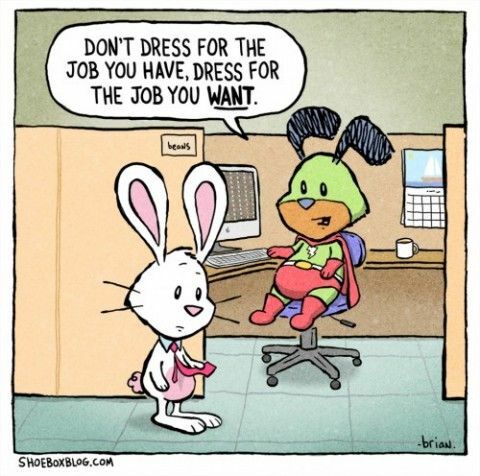 Always ask the point person that set up the interview for advice on what to wear. If you wear something that is significantly different than the instructions that you were given, then you stand a good chance of turning off the interviewers. Never attend any interview with ill-fitting, sweat-stained, smelling like smoke, dog or cat hair covered clothing that looks like something you slept in. Never wear the same ensembles you would wear out to a bar or nightclub with your friends. Ridiculously sculpted fingernails on women and pointy shoes and contrasting socks for men are no-nos. When in doubt, overdress for the first interview. The 6 worst things to wear to a job interview | Catherine Conlan via Monster.com. We already discussed how to handle stress interviews last time but I wanted to follow up on that topic by covering something less common but potentially even more stressful: the marathon interview. For the most part, our advice over the years regarding how to succeed with job interviews has focused on meeting with maybe a single hiring manager or perhaps a small group of people including HR. But for many job seekers, an even bigger challenge awaits them after those initial phone screens and one-on-one meetings are completed and they’ve moved on to the next stage. Some companies, like Lending Club, PwC, Microsoft, and Boston Consulting Group, hold sessions that can last an entire day, running straight through lunch and on to after-work drinks. These sessions may include interviews with a dozen or more candidates at once, as the company tries to efficiently handle large numbers of potential candidates (including some who may be flying in from out of town), and may occasionally involve group interviews where candidates are required to solve problems together. Prepare, prepare and prepare some more. Plan to spend as much time as possible getting ready for your all-day interview. Some of the specific challenges will be covered below but by all means, don’t think you can wing it. Ask your contact in advance what you should expect. How many people will you meet? What are their job titles? What topics do they expect you to cover? Will you be presented with a case study? Will there be a group session with other candidates? Will the interviews run through lunch? Will there be any other opportunity for socializing, like after-hours drinks, that you are expected to attend? It’s essential to have at least three short but detailed anecdotes about yourself ready to tell. They should illustrate a challenge you faced, either organizationally or substantively or both, and how you overcame it. Were you expected to increase sales by 30% in six months while traveling to satellite offices? Did you mount a social media campaign while juggling sales calls and writing internal communications materials? Research your potential employer’s field. If you’re interviewing with a company like the Lending Club, read and digest every page of the company website, do a news clip search and make sure you know who the competitors are. You won’t necessarily introduce any of these topics but you want to be prepared to talk intelligently about them should they come up. Try finding ex-employees on LinkedIn and message them to ask if you can talk on the phone or ideally, meet for coffee or a drink. Quiz them about the company’s strengths and challenges. Keep your focus on the positive. When the interviewer asks you to tell them about yourself, stick to a positive, linear story that emphasizes your interest in the job. For instance, if you’ve worked in business and you’ve decided to apply for a teaching fellowship, don’t talk about why you’ve come to dislike your job or how you’ve soured on your career. Instead emphasize how much you’ve learned and how you think those lessons will make you a better teacher. The same rule applies if you’re looking to leave a company where you’ve become unhappy. Talk about your past successes and how excited you are at the prospect of a new challenge. Be prepared to listen rather than talk. A friend of mine went for an interview at a nonprofit last week. She was incredibly well prepared (she works in the field in a senior position at another nonprofit institution) with anecdotes about her achievements and questions about her potential employer. But her interviewer talked for 45 minutes straight, describing the institution and its challenges. That left less than 15 minutes for my friend to make her case. The interviewer obviously has a lot to learn but her tactics, from my experience, are common. The challenge is to listen closely, appear as though you care about what the interviewer is saying and try to retain as much as possible. Don’t expect to eat at lunch. Though a company like Lending Club claims that lunch is a time for candidates to take a breather and relax, don’t. Your interviewers care about whether you are socially skilled and easy to be around. This is a good opportunity to ask questions. Query your dining companion about their career and how they like their employer. Remember that you are still being evaluated. You may not manage more than a few bites of food. Pack a small water bottle and snack in your bag that you can nibble when you excuse yourself to go to the restroom. Jot down notes when you take a bathroom break. Don’t take notes during a meal or in interviews. When you go to the rest room, jot down some points. These will come in handy when you follow up with thank-you notes. Pay particular attention to descriptions of the company’s challenges. You want to come off as a problem solver. Get everyone’s business card and offer yours. Fight your fatigue. Sit up straight, lean slightly forward in your chair, laugh at your interviewer’s jokes and meet the interviewer’s gaze. Smile as much as seems appropriate. Express your passion about the possibility of getting the job, both verbally and nonverbally. Make notes before calling it a day. At the end of a marathon interview day, you will likely feel completely spent. But don’t give in immediately. Make yourself sit down at your computer or take notes longhand about the points your interviewers emphasized. It’s great if you can be organized about this but stream of consciousness is fine too, if that’s all you can muster. You’re debriefing yourself while the information is fresh. You’ll need it to write those 12 thank-you notes the next day. How To Survive A Marathon Job Interview | Susan Adams via Forbes. So we’re venturing out into a bit of an esoteric topic this week, covering a rare but difficult job seeker, trapped halfway between academia and the real world: the PhD graduate looking to leverage their background into a career in business. 1. Networking with your competitors only. Most PhDs network exclusively with other PhDs. That’s like dressing up as a needle and jumping into the middle of a haystack. You’re never going to be noticed at these events. You’ll never stand out. Everyone is just like you. Not only that, the people at these events want the exact same jobs as you. You’re not going to hear about any job opportunities because the other PhDs are going to keep those job opportunities to themselves. Now, consider going to a networking event outside of your direct field of interest. Let’s say you go to a meet-up for architects, lawyers, business executives, painters, real estate agents, etc. First, the people you meet are going to be impressed that you have a PhD. “Wow, a PhD, I haven’t met another doctor here before.” When’s the last time you heard that? You’ll never hear it in a crowd full of PhDs. Second, because you’re different, you’ll be memorable. If someone at that event hears of a PhD-specific opportunity or knows of one already, they’re going to tell you. They have no reason not to tell you because their interests are different than your own. When networking, go to events where you’ll stand out and where you won’t be seen as a threat. As a side note, this is also one of the biggest reasons you should learn how to network in graduate school. When you’re student, no one sees you as a threat. But as soon as you enter the job market, you get a target put on your forehead. Now, no one wants to share information with you. Now, information comes at a price. 2. Inflating your title and your attitude. A lot of PhDs think playing up certain things on their resume or CV will help them connect with people at networking events and get a job. But it won’t. It just turns people off. Besides, if you have a PhD, it’s not a lack of hard skills or credibility that will keep you from getting a job in business. It’s a lack of communication skills and a limited network that will keep you from getting a job. Instead of inflating your title or acting defensive about what you’ve accomplished, be real. Talk about the real people and companies you’ve worked with or the real learning experiences you’ve had. Then talk about what you really want and what you’re willing to do to get it. 3. Waiting for other people to contact you. No one is going to chase you down to get a job. This might happen later on in your career but not when you’re in graduate school or doing a postdoc. The ball is always in your court. It’s up to you and you alone to drive the hiring process forward. No one will do it for you. 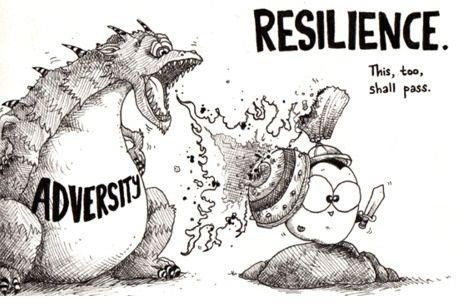 Especially if you’re trying to transition from academia to business. The fact that you’re changing industries adds a new, extra-heavy layer of inertia to the process. This means you’ll have to follow up with people you meet at networking events, follow up with hiring managers before interviews, follow up with them afterwards, follow up, follow up, follow up. Following up is the only activity that people in business respect. And it’s the only activity that will remove the many barriers standing between you and the job you want. 4. Be an interviewee and not an interviewer. Most PhDs prepare for interviews like they’re preparing for a test. They study up on potential questions they might get asked or they practice a short chalk talk, obsessing over formal inquiries they think they’ll get from the audience. The problem is that employers of top companies don’t care how you handle their questions as much as they care about how you handle yourself. No one is going to sit across from you with a big red buzzer waiting for you to give a wrong answer to some technical question. Employers don’t want to know if you can recite information, they want to know if you can you find problems, find solutions, and communicate them both effectively. Getting an interview is an invitation to interview a company, not an invitation for you to be interviewed. The best way to show you can find the problems and solutions is to turn the tables on the interviewer. Don’t let them interview you. Interview them. Investigate them. Ask them about their company and the position you’re up for like you’re digging for gold. Seek out everything there is to know and really determine whether or not this job is right for you—not the other way around. If you don’t see yourself as valuable, why should anyone else see you as valuable? A lot of graduate students and postdocs go into interviews ready to accept anything that’s offered to them. This is a mistake. Employers can always tell if you’re desperate. They’re going to assume you’re desperate by default because you’ve been working for almost nothing in academia for years. It’s up to you to prove to them, and yourself, that you’re not desperate. You have to know your own value. Remember, you’re highly trained. You’re in the top 2% of the world in terms of education and academic training. The key is being confident in yourself and your worth without acting defensive or like you’re entitled to anything. This can be hard. Especially if you’ve been mistreated by your academic advisor or beat down by the academic system in anyway. Put some time into understanding you’re worth and showing it in the right way. Start thinking and acting differently than most of the other PhDs who are trying to get a job in business. Go to networking events outside your field, follow up with people consistently, prepare for interviews as the interviewer—not the interviewee—and, most importantly, be yourself. If You’re A PhD And Do This, You’ll Never Get A Job | Isaiah Hankel, Ph.D. via Cheeky Scientist. In an attempt to impress recruiters and hiring managers, many applicants fall back on their usual bag of interview tricks: “Weaknesses? Probably my perfectionism.” Companies, however, are likely looking for more authenticity from their candidates, rather than mere polished half-truths. But what about those tougher questions? Questions about your plans for a family, or your reason for leaving your past employer? Sometimes candidates can suffer from being too honest. Here are a few tips on when to be brutally honest in job interviews, and in which situations a tiny white lie might be allowed. HR managers and headhunters want confident and down to earth candidates. 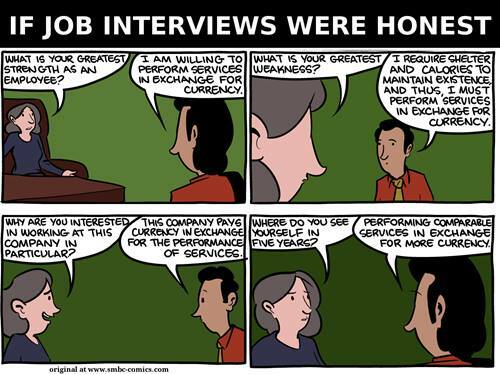 But recruiters can only determine whether you’re a good fit for the company when you’re completely honest. In regards to your performance, your experience, and your qualifications, you should always be honest – otherwise, you’re really shooting yourself in the foot. Did you write in your resume that you’re fluent in Japanese? Then be prepared to demonstrate your skills in the interview, if requested. Remember that even if your new employers only call your bluff once you’ve already gotten the job, you may be handed a huge project – like handling a merger between your company and a larger Japanese corporation. Oops. Instead of making up important details, focus on your strengths. Explain that your gift for critical reflection makes you a perfect candidate. Tell your interviewer where your leadership skills lie and reinforce your argument with concrete examples. You should also indicate your level of leadership experience with honesty. There’s a big difference between having led a department, or a team that only consisted of three interns. Be sincere – even leading a small team has given you some experience, and it’s better to tell the truth than to fabricate. Explain what you learned from this experience and how you can transfer this knowledge to the position in question. In this way, HR managers can get a clear image of who you are, and they’ll know from the beginning if you need further training, what kind of further developments could be helpful to you, and in which departments you could lend your knowledge. In a job interview, it’s in your best interest to be honest about your professional experience, your qualifications, as well as your strengths and weaknesses. However, as soon as your interviewer begins to ask questions about your private life, you should be very cautious with your answers. Here, too much honesty can seriously affect your chances to get the position. Suppose you’re asked why you want to leave your current employer. When you mercilessly begin to complain and whine about your shamefully small paycheck, your incompetent management, and your awful working conditions, you’re not doing yourself any favors. Consider an alternative response: you’ve exhausted all possibilities for further development at your current job, and so you’re looking for new challenges. Maybe you need a professional change of direction. But in any case, you should leave private and personal reasons aside. What kind of hobbies do you enjoy? Hobbies show recruiters and headhunters what your passions are. Are you a team player? Are you dedicated? Pay attention that your hobbies don’t define or pigeonhole you. You should avoid detailing your passion for bungee jumping or mountain climbing in the Himalayas. Why? Your interviewer might decide that you’re a liability, or that you could hurt yourself and take months of sick leave. In addition, this might lead your interviewer to assume that you’re a huge risk taker. Are you planning on starting a family? Especially for women in their 30s, this question is very likely to be asked, even though HR managers in the US aren’t technically allowed to. Don’t let a question like this faze or upset you. Politely ask how this question relates to your skills and qualifications – then change the subject discreetly. Your desire to have children, your political views, your religious affiliations – none of these belong in a job interview. Consider inappropriate questions like this, and prepare some short answers in advance. If in doubt, a little white lie is allowed. Certainly, a few questions must be on your mind – but some of them shouldn’t be asked in one of your first job interviews. Candidates that ask too eagerly about the number of vacation days never make a good impression. Instead, ask about the company’s options for further education and training – this signals your motivation and readiness to learn. Keep this admonition in mind: when it comes to being honest in a job interview, it’s usually a question of strategic preparation and the right spin, rather than embellishment and white lies. 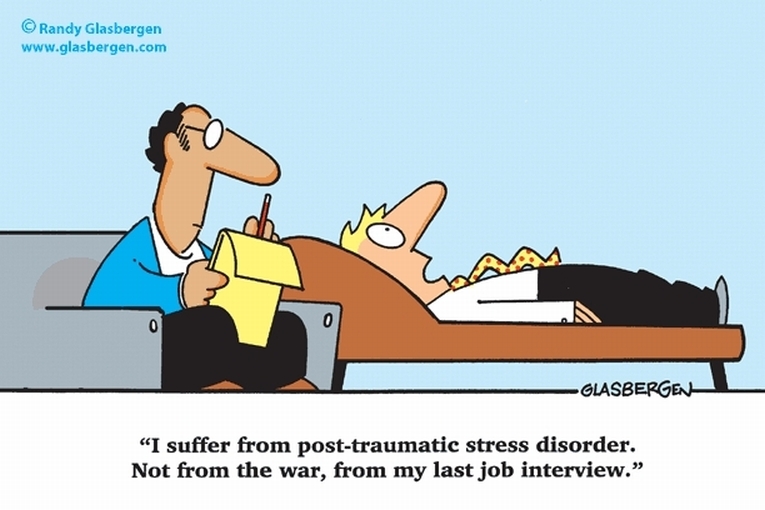 We are continuing with our theme this week of stress in the job search. After working as a recruiter for more than 10 years, I’ve seen firsthand the toll a long, drawn-out job search can take, whether on a new graduate or someone who has been in the field for decades. Sometimes it’s the strain of being out of work longer than anticipated or not being invited for interviews at all or not receiving offers or even returned calls… all of this can make it tough to keep your spirits up. Even worse, your confidence in your own abilities may fade over time, leading to a crushed spirit that can further negatively affect how recruiters and hiring managers perceive you. 1. Ask for feedback. If you’ve been on the hunt for a while without much progress, step back. Talk to professionals with whom you have a strong and trusting relationship, like a former boss or your recruiter. They get it, and they get you. Ask for, and be ready to hear, specific, constructive feedback and request a mock interview. Are there things you could be doing differently? Questions you could be answering better? Follow-up that could be stronger? Their feedback could mean all the difference, and the positive comments they’ll share will be a nice boost to your confidence. 2. Get the inside scoop. Talk with people in your network to learn more about the industry you’re interested in and any changes or trends they’re seeing. What they’re hearing and experiencing on the front lines could be just the spark you need to shift your approach and pick up some momentum. By the end of your conversation, there’s a good chance you will feel more relaxed, have more confidence and be inspired to excel in your search. 3. Change your approach. Have you been interviewing a lot without much progress? It might be time to change things up. Are you coming across as bored with the process? Do your answers sound rote? Did you not notice your interview outfit is rumpled or stained? Prepare for your next interview with these potential pitfalls in mind. Take out your iron and stain stick; come up with fresh, new answers; add energy and enthusiasm to your voice; use real-life examples anytime you can and be mindful of your body language. These small tweaks will help you come across as excited and engaged. 4. Fake it ’til you make it. If you’re feeling downtrodden going into your next interview, fake it. Smile and be ready to greet the interviewer highlighting your best qualities. Make every interview an opportunity to not only get a job, but to polish your interview skills and build your confidence. 5. Find commonalities. Search for your interviewer on LinkedIn and discover common ground. Maybe you’ll find that you both know some of the same people or enjoy volunteering. Whatever you share, remember that people want to work with people they like, and discussing commonalities with your interviewer is an effective and authentic way to start building the relationship. 6. Fit matters. While it’s appropriate to strive for jobs that may be slightly out of your reach, doing that too often could lead to too much rejection. To keep your job search on track and your spirits high, go after positions that are an ideal fit for your background, experience and interests. Save the long-shot interviews for the one or two employers that really spark a fire in you. 7. Try some retail therapy. Sometimes, if you are feeling lackluster, a new pair of shoes, a fresh haircut, a fun accessory, a new tech gadget or an updated suit will give you the extra confidence and excitement to ace an interview. Walk in with some swagger, and let the interviewer know why you’re the best person for this role. 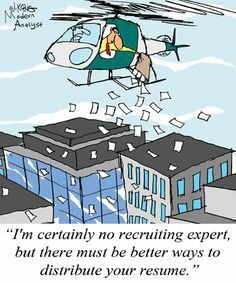 You might be convincing enough to get hired. 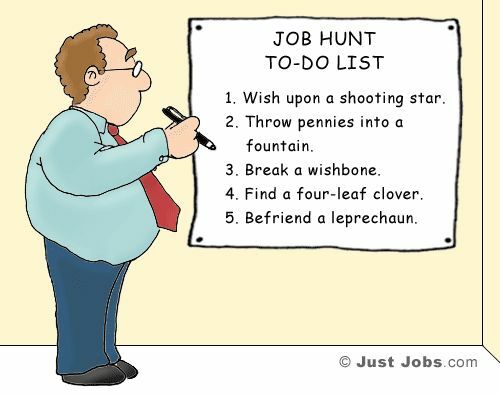 If you’ve spent months in what feels like a fruitless search for a new job, don’t lose heart! The opportunities are out there. Try something new, challenge yourself, and step out of your comfort zone. A great job is waiting for you somewhere. Most people find job interviews stressful and intimidating, especially if they really need the job. With only one, brief chance to make a good impression to escape your current job, increase your pay, or expand business connections, interviews can make or break your future, with the slightest mistake costing you dearly. Aside from quitting your job or giving an anxiety-provoking public presentation, few things in the workplace induce more fear than an interview. 1. Sleep well–two nights before. Many people toss and turn the night before a job interview. Since most have no problem running on fumes for a day, aim to sleep well for two nights leading up to your interview. Accomplish this by exercising vigorously and tiring your body. 2. Get there early–but not too early. Rushing, getting lost, and the fear oft being late all provoke anxiety. Print out directions to the interview location the night before (get an alternative route as well) and plan to arrive 30 minutes early. But do not enter the building until 10 minutes before the scheduled interview. The anticipation of waiting can be brutal. Have a mini-plan to kill some time before the interview–walk around the block and do some deep breathing. One of the worst things you can do is get to an interview too early and be stuck waiting in the reception area for an extended period of time. 3. Eat light, yet be nourished. A little starch keeps your sugar level in check and your stomach from growling. A good standby is half of a protein bar and water. It’s not exciting, but it helps keep hunger in check. You never know how long an interview will last, so always have a bite to eat before heading in. 4. Schedule interviews in the morning. Get stressful things out of the way early. That leaves less time for negative thinking. This tip also holds true for dentist and doctor appointments. 5. Be (over)prepared. Know what interview questions you will be asked and be prepared to state your salary requirements. Hold mock interviews with friends and family. Research the company using a service like Glassdoor.com and get to know your interviewer using every social media resource you can find. 6. Take the day off. With an average of 13 vacation days a year and only a handful of sick days, today’s workers are reluctant to let go of any paid time off. But worrying about traveling to two offices, changing your outfit, and lying all create stress. Treat yourself to the full day off and use the remaining time to send a thank you letter or look for other job opportunities. 7. Ask when a decision will be made. A frequent source of stress is interviewing for a job and never hearing back. Do your best to gather as much information as possible and ask when a decision will be made. It’s a fair question, so don’t be bashful. Remaining relaxed during a job interview will give you the confidence to sell yourself properly and earn a job offer. Be prepared, both physically and mentally, be yourself, and hope for the best. And remember that there will always be more opportunities in the future. Maybe you’ve had to move around a lot for your spouse’s career. Maybe you just can’t seem to find a company or a job title or a career that suits you. Or maybe your career so far has been one long “series of unfortunate events”, enduring economic downturns, companies going bankrupt, and massive layoffs. However you explain it, if your resume seems to show you moving around quite a bit, that is usually seen as a red flag by hiring managers and HR. If a company is trying to invest in the long-term, bringing on someone who seems to leave their job every few months is certainly not going to meet those hiring KPIs instituted by management. So how do you overcome the stigma attached to you and your resume, with a career you cannot simply undo or pretend didn’t happen? There are several tactics you can use, depending on the reasons for your moves, your industry, and your discipline. You have an unstable work history, having held several jobs in a relatively short period. How can you try to prevent potential employers from holding your job-hopping past against you? You can minimize the appearance of job-hopping by focusing your resume on your career history rather than your job history. The biggest hurdle is getting noticed because recruiters usually screen out people with a choppy employment past. It is easier to overcome a choppy history if you are young and just starting out. It’s more acceptable for those under 30 to move around, so I don’t think they need to address it, unless there are big gaps in their resume. And, of course, you will have an easier time if your recent departures resulted from mass layoffs at previous employers. You can emphasize this point in your cover letter or add a few parenthetical words about it on your resume, such as “(one of 700 employees downsized 11/01)” or “(company acquired by ACME in 1/09)” after the job title or company name. How should a resume deal with short periods of employment? The dates of those jobs don’t have to jump off the page. They can go in parentheses after the job title, the company name or at the very end of the job description. You can also use years only, rather than months and years. It’s also fine to eliminate one or two jobs from your resume. For example, if you took a position and two months later decided that it wasn’t for you, it’s probably best not to include it. It’s not that you’re ashamed of it, but it’s not the most relevant information you need to share in your resume. If you do keep a job off your resume, be prepared in the interview to explain why. As long as you’re being truthful, you can answer that the job didn’t add a lot of value and you wanted to include more meaningful experiences and accomplishments. Use a cover letter to explain your reasons for switching jobs — something that is difficult to do in a resume. But first, tell the employer why you are an exceptional candidate, summarizing your background — including the number of years you have been in the industry — and the results of your work. After that, acknowledge that you have held several jobs in a short period and address each with a line of explanation. Keep the explanations short. Remember, you are selling yourself, not defending your candidacy. Aren’t there some industries where moving around often is expected? If you work with start-up companies, frequent job changes are almost de rigueur, because start-ups often fail or are acquired by other companies. Especially in the biotech and technology industries where there are many start-ups, it’s O.K. to move around. If you do consulting work on a project basis, it is expected that you would be switching jobs fairly often. For certain technology positions, like computer programmer and software developer, the length of time at each job is almost irrelevant. The breadth of experience is far more important. How should you handle questions about your job history during an interview? Focus on your accomplishments and stress your years of experience. Managers value accomplishments that have been repeated. If a person can demonstrate they have had repeated success in their jobs, they may be more attractive than a person with years of experience at only one organization. If you were fired from a job, discuss it in a way that shows you have come to terms with it. Don’t be defensive about it. If you were at fault, acknowledge it, and discuss what you could have done differently. If you cannot persuade hiring managers to look past your job history, are there other potential ways to get an interview? This is especially hard at the executive and senior levels of employment. A pattern of short jobs is a show-stopper. No amount of resume editing will help — there is simply no way to dress it up. Instead of answering ads, focus on networking because a personal connection is more likely to persuade an employer to give you the benefit of the doubt. Your network includes friends, family, current and former co-workers and former supervisors. You need someone who will give you a break. That’s usually someone who knows you and your work and has a reason to take a leap of faith. So you’re not doomed if you’ve moved around a lot, though it will definitely be a struggle to get past the stigma associated with being labeled a job-hopper. By being honest, addressing the reasons directly in interviews and on your resume, and understanding the nature of your chosen industry and discipline, you can overcome it and perhaps even portray it as an asset rather than a liability. Seems like everyone has “hacks” these days… hacks for parenting, hacks for eating, hacks for computing, and even hacks for life. For every standard way to do something, someone out there on the internet has found an innovative way to do it .001% better, guaranteed to transform your life in 10 easy steps. We’ll pass over the question of whether it’s really efficacious to use string to cut cheese or to microwave your deodorant to get the last little bit out. The idea of hacking itself is sound: re-envisioning everyday activities to perform them more productively, more efficiently, more cost effectively, and more successfully. Since many of us will interview for jobs many times over the course of our careers and competition for even the most basic positions always seems to be intense, it behooves us to apply as many tricks, tips, and hacks as we can, if for no other reasons than to make the experience easier to endure or to streamline failure. Everyone knows it’s a good idea to bring extra copies of your resume and business cards with you when you interview, but it’s also a great idea to bring a job history cheat sheet with you. Prepare a write-up briefly detailing two accomplishments for each of your past few jobs. It’s a great way to overcome brain freeze during an interview or to get things back on track if the conversation has derailed. Beat the Clock to Beat Your Nerves! Nothing can make a stressful situation more stressful than anticipation and dread… Having to wait all day for an interview is a quick and easy way to build up a major case of the butterflies. Rather than spend the whole day worrying and building yourself into a frenzied ball of anxious nerves, try to schedule your interviews for early in the day. Not only will you have more confidence, but you’ll appear fresher and more alert. It’s also been proven that interviewers tend to remember the first few people they interview in a day much more clearly than those they subsequently interview later. In many cases, a company will be hiring for a position in order to solve a problem or remedy an issue they have been facing. 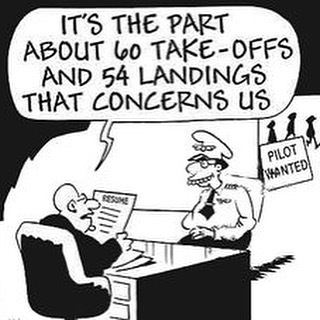 By studying the job description you can often tell if this is the case for the position you are interviewing for. If this is the case, take this opportunity to prepare a one-page proposal that outlines how you would solve the problem that the company is facing… and be specific! Even if they aren’t looking for you to solve the problem in the interview, they will be impressed that you took the initiative and more importantly, that as a hire, you will bring a lot of value to their organization. Did you know your interview starts the minute you walk through the front door of the company you are interviewing with? How you treat everyone around you, from potential future co-workers to the receptionist at the front desk, can help determine if you get a job or not. By being open, friendly and professional with everyone you encounter (not just your hiring manager) you’re helping to pave the way for positive feedback because as everyone knows, people talk… and if they’re going to talk about you, it’s always best to have it be about positive aspects of your visit! In addition, hiring managers will often use the receptionist/secretary as a “secret screener”. What does this mean? It means that they often give the receptionist a list of questions to ask you and have them take notes on your responses. Then after the interviews are done, they have a quick debrief to discuss what you said. I’ve actually heard of people who had immaculate job interviews that failed to get the job because they showed a different (and not positive) side of their personality during the “secret screener”, so keep this in mind the moment you walk through the door! The best way to start an interview is to not start the interview. When you first meet whoever is interviewing you, get them to talk about anything except the interview. Use those first moments to build a rapport with your interviewer. Remember, they’re potentially interviewing hundreds of people and the ones they’ll remember are the ones that stand out for the right reasons. People want to work with people they connect with, and by taking just a moment to talk about something other than your potential job you’re helping show that you’re a nice, friendly and interesting person. Your ultimate goal with an interview is to have a good conversation with your interviewer and an easy way to kick off that conversation is by starting with an easy small talk opener. Example topics can include the weather, a recent sporting event, the office, or anything else you can think of that is quick to discuss. Try to skip controversial topics and make sure that you don’t go overboard or ramble on for too long. It’s still an interview, after all! It’s been psychologically proven time and time again that people respond better to individuals they feel they are in “sync” with and the best way to help drive that home is to subtly mirror your interviewer’s nonverbal gestures and body language. Don’t go overboard and do everything they do, but if you keep your movements similar to theirs, it’ll build a sense of cohesion and understanding between you two. Try to mimic their pitch, tone, body language, posture and body orientation. And while you’re at it, DON’T FIDGET! Fidgeting can undermine your credibility and give an interviewer the impression that you’d rather be anywhere but in that room as well as make it appear you’re anxious or even lying. Instead, focus your gaze on whoever is interviewing you and show them that you’re fully invested and paying attention to the interview. A good interview is more than just you sitting in a room rattling off prepared answers to questions. It’s also an opportunity for you to learn about the job, the company and your potential role within that world. Make sure to have a few questions prepared before you interview and find the time during the interview to ask them. Make sure they are thoughtful questions that help reinforce the idea that you’re the ideal candidate. When you get the chance to ask your own questions, take the opportunity to “tailor” the questions. You want to show that you have the qualities that the company puts a lot of value in, so utilize this opportunity to do so. Just a few easy tips to add to your interview toolbox. 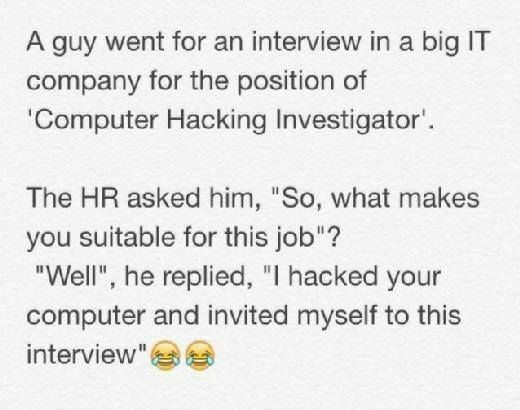 Let us know in the comments if you have any other tried and true hacks for interviewing that you’d like to share. Following up on our article from last year, where we explored some of the wacky things people have done to get a job, I thought we’d return to the whimsical this week by exploring some more “job seekers behaving badly” to see what other bizarre strategies people have employed to get employed. From over the top resumes to publicity stunts to some rather creepy (borderline stalking) methods… you get the picture. A few years ago, Careerbuilder conducted a survey of several thousand hiring managers and HR professionals nationwide to share the most memorable methods job candidates have used to stand out from the competition, and whether their creativity got them hired or cost them the opportunity. And while a number of rather kooky options did result in a job, some of the others were not so successful. Taking a creative approach to the job application and interview process can be risky, in other words. But like some macabre, train wreck exhibit in Ripley’s Believe It or Not!, here are a few of the more unusual ones that respondents recalled. 1. Candidate contracted a billboard outside of employer’s office. 2. Candidate gave a resume on a chocolate bar. 4. Candidate asked to be interviewed in Spanish to showcase his skills. 5. Candidate crafted the cover letter like an invitation to hire her rather than a request (similar to a wedding invitation). 6. Candidate climbed on a roof the employer was repairing and asked for a job. 7. Candidate performed a musical number on the guitar about why he was the best candidate. 8. Candidate volunteered to help out with making copies when he saw interviewer’s assistant was getting frazzled. 9. Candidate repaired a piece of company’s equipment during the first interview. 10. Candidate sent a message in a bottle. 1. Candidate back-flipped into the room. 2. Candidate brought items from interviewer’s online shopping wish list. 3. Candidate sent a large fruit basket to interviewer’s home address, which the interviewer had not given her. 4. Candidate did a tarot reading for the interviewer. 5. Candidate dressed as a clown. 7. Candidate placed a timer on interviewer’s desk, started it, and told interviewer he would explain in 3 minutes why he was the perfect candidate. 8. Candidate sent interviewer a lotto ticket. 9. Candidate wore a fluorescent suit. So the bottom line is that some hiring managers will appreciate a more unconventional approach to applying and interviewing for a job, others may not. It often comes down to knowing your audience. For example, a clever technique that may help you land a job at an advertising firm may not necessarily work for a more conservative law firm. If you’re planning to do something unconventional, first ask yourself, ‘Does this help to exemplify my skills and experience?’ If the answer is no, then don’t. Whatever you say or do in an interview should be relevant to the position at hand. You want the interviewer to remember you for the right reasons, not just because you stood on your head the whole time. An even better way to stand out: come in with ideas. It shows vision and initiative. Many candidates don’t do this, so you’ll immediately stand out. Focus on specific ways you have contributed to other organizations, so the employer sees what you can do for them. And remember, for every memorable stunt that landed a job, there is one that forever marked a job seeker as either desperate or a little bit crazy… these stories get around so rather than being a good laugh at the water cooler, shoot for being remembered as an articulate candidate with good ideas.